Thinking about taking your family to Phillip Island? Same with most travellers and the main reason is to see the Penguin Parade as they march onto the shores early evening. Here are some of the best tourist attractions for your family to see if you’re planning a day trip to Phillip Island. A great tourist attraction for families, the Penguin Parade is world famous! Watch in wonder as the Little Penguins return to shore at sunset after a big day out fishing in the ocean. They waddle across the sandy shores and into their burrows in the dunes. See the penguins from boardwalks and viewing platforms in their natural habitat, or head underground for an eye-level view up close. What tours are available for visitors at Penguin Parade? Penguin VIP Tour – Assist in the penguin count and interact with a ranger in your own exclusive viewing tower, elevated for the best view of the penguins as they return to the beach. Ultimate Penguin Tour – Head to your own secluded beach with a small group and view the penguins with night vision as you enjoy commentary by rangers. 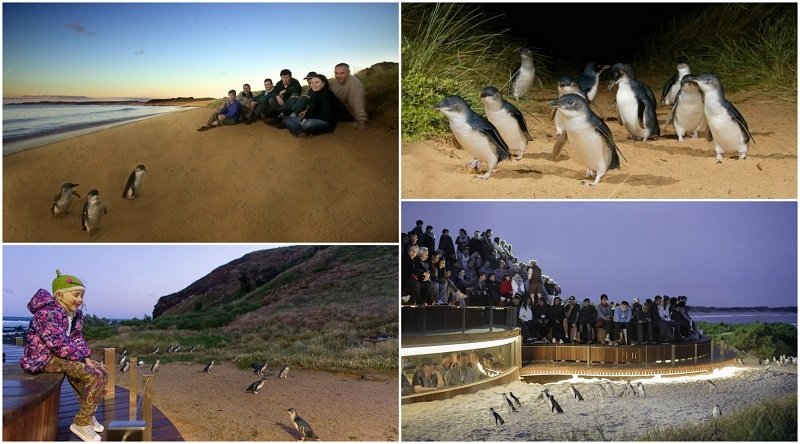 Behind the Scenes Tour – See what rangers and researchers get up to at Penguin Parade. 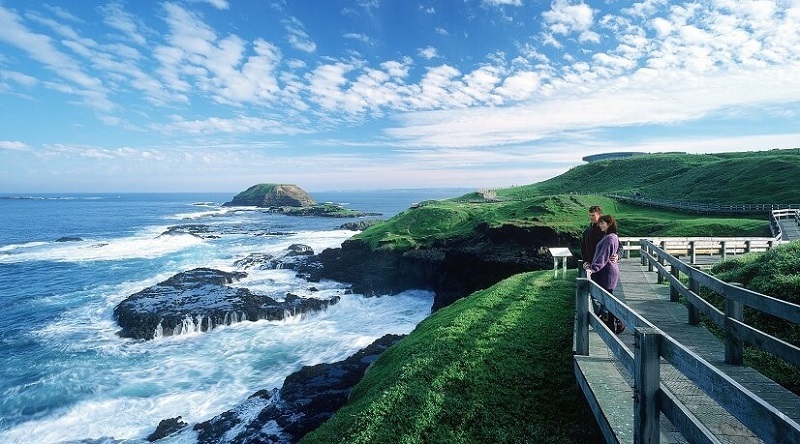 On the western tip of Phillip Island you’ll find the Nobbies Centre at Point Grant with stunning views over Bass Strait. Wander on the boardwalks outside and lookout to Seal Rocks about one kilometre offshore, as well as The Nobbies and The Blowhole. There is also a cafe, gift shop and the Antarctic Journey attraction. What can families see and do at the Nobbies Centre? Take a walk – Head outside and see what you can spot from along the network of boardwalks. There’s The Nobbies, The Blowhole, and of course, Seal Rocks – home to around 16,000 fur seals, Australia’s largest seal colony. Grab a bite – There’s an onsite cafe to enjoy a bite to eat after your walk, you won’t go hungry here! Buy a souvenir – Browse the gift shop’s extensive range of souvenirs and pick up a gift or two to take home with you and remember your visit. 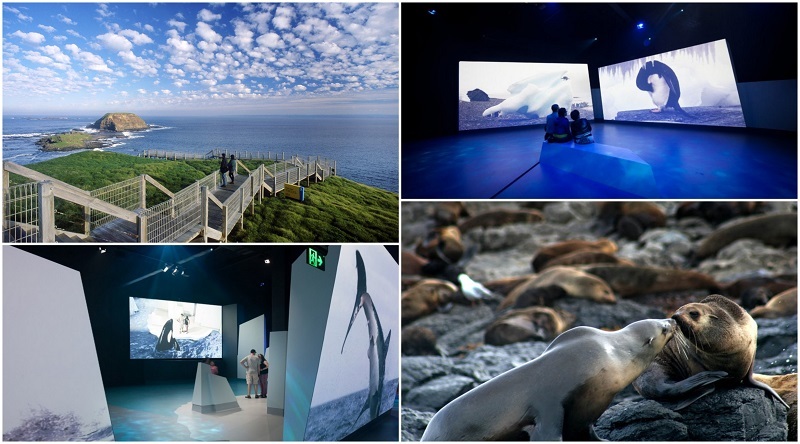 Antarctic Journey – At the Nobbies Centre you can find the interactive Antarctic Journey, just outside there’s also an interpretive display to learn more about penguin conservation efforts on the island. Visit the site of the first farm in the state of Victoria at Churchill Island with its restored homestead dating back to the 1850s, the original cottages onsite, as well as the stunning gardens and orchards which surround them. 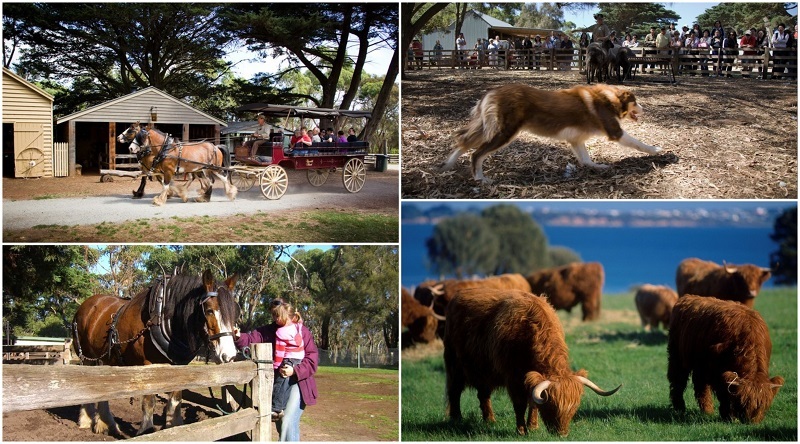 There are plenty of farm animals to see like Clydesdale horses and highland cattle. What can families do on Churchill Island Heritage Farm? Farming activities – Families can enjoy farm activities like milking the cows and shearing sheep as well as wagon rides and whip cracking. Walking trails – There’s plenty to explore on the island’s cycling and walking trails from the easy Wadjil’garook Wetland where you can learn about birds and Indigenous culture, North Point loop which is just 2 kilometres and will take around an hour, through to the moderate-graded Chirchill Island loop which is 4.5 kilometres and takes around 2 hours to complete. Visitor Centre – Find out more about the island’s history and browse the gift shop. See koalas up close in their natural habitat on the treetop boardwalks at the Koala Conservation Centre. The Australian bushland area is also home to an abundance of bird life and other animals including bats, wallabies and echidnas. 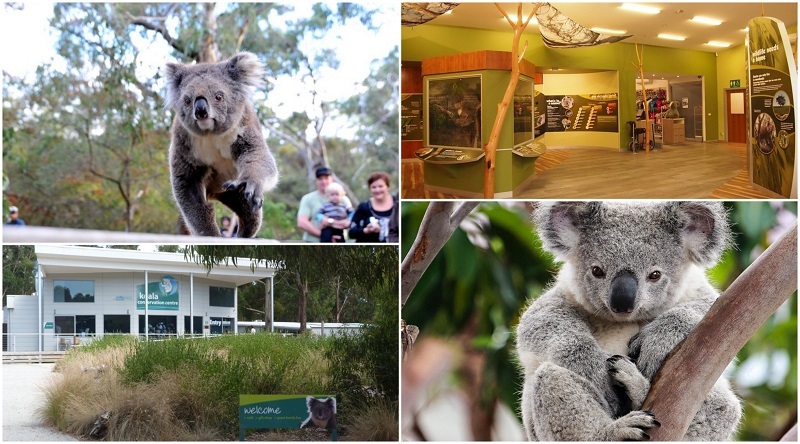 The interpretive centre will help you learn more about koalas including their history on Phillip Island, or perhaps go behind the scenes with a ranger on a ‘Koala Eco-Explorer Tour’ – you never know what you’ll discover! What is there to see and do at the Koala Conservation Centre? Wander through the tree tops – Take to the two boardwalks and see the koalas enjoying their natural habitat – eating, sleeping and playing. Learn a little more – The visitor centre houses interactive displays so your family can learn more about these fascinating creatures. Join a tour – Rangers lead regular ‘Koala Eco-Explorer Tour’ where you can go behind the scenes and discover more about this Australian icon. There is plenty for families to see and do on a visit to the Maru Koala & Animal Park. See all kinds of Australian animals and even get a little close to some of them. There are opportunities to pat a koala and feed a kangaroo. You can also see parrots, possums, Tasmanian Devils, dingoes, and wombats. Regular keeper talks mean you’ll be able to learn even more about your favourite creatures on your visit, or perhaps enjoy a round of mini golf to cap off a fun-filled day. 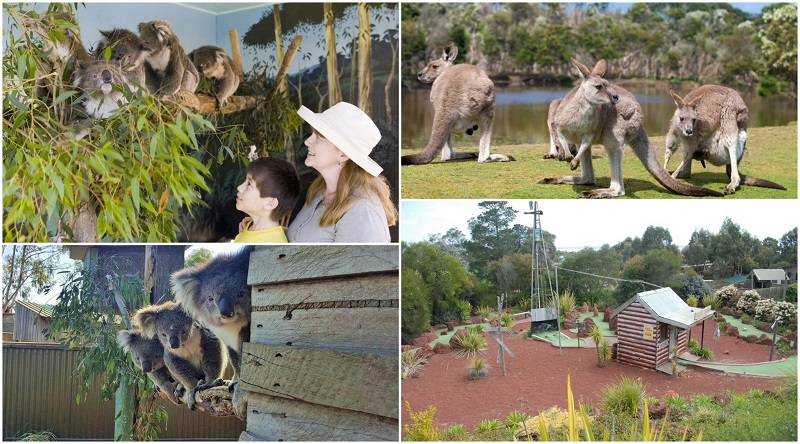 What activities can families enjoy at Maru Koala & Animal Park? Feed a ‘roo – Relish the opportunity to get up close to kangaroos and wallabies and help to hand feed these amazing creatures. Meet a koala – The park has hourly tours where you can get up close to the koala family and enjoy petting them! Pirate Pete’s Mini-Golf Adventure – There are 18 holes awaiting where you can putt around a 30-metre pirate ship. 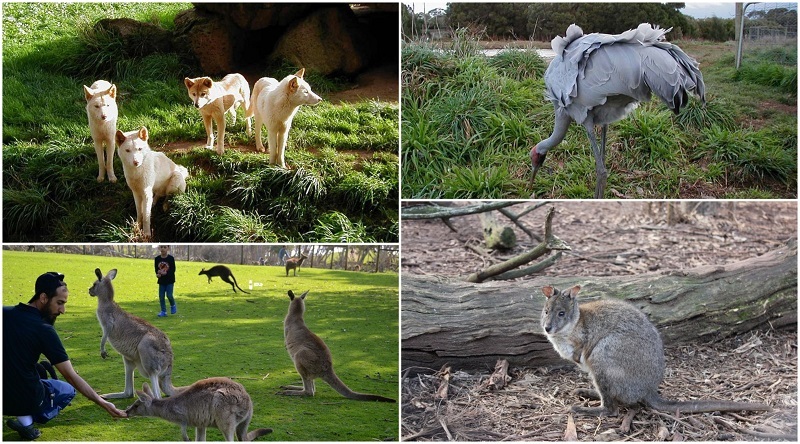 Get up close to more than one hundred species of Australian animals at the Phillip Island Wildlife Park, just two kilometres from the island’s main township, Cowes. Set over more than sixty acres, you can see kangaroos, koalas, bats, wombats and a range of birds including owls, emus, parrots and cockatoos. Families can get up close to the Australian animals they’ve always wanted to see including opportunities for feeding and petting. What can visitors see and do at the Phillip Island Wildlife Park? Feed kangaroos – Visitors can feed and pat kangaroos in their free-range style enclosure from the larger Red Kangaroo to the smaller wallabies and pademelons. See koalas – View the koalas at eye-level, right up close, on the raised boardwalk. Hear the birds – Birdsong fills the park with many species throughout. Parrots with brilliant colours, birds of prey and even nocturnal birds like Tawny Frogmouths call it home. Lose yourself in a magical world, packed with illusions, puzzles, games and adventure for everyone! The family will enjoy hours and hours of fun at A Maze ’N Things. Tackle the confusing maze with its twisting passageways and many dead ends, see how you go at mini golf against family and friends, or perhaps enjoy Magic Manor and its interactive displays. What are the top things to do at A Maze ’N Things for visitors? Puzzle Island – It’s a world packed with puzzles, illusions and mazes, along with the Look Out! Slide. Magic Manor – You’ll find everything hear from magic displays to interact with, right through to scare rooms, flying chandeliers and a time machine. Maxi Mini Golf – It’s fun to the max with not 18 but 19 holes! Whether you’re an expert or just starting out, enjoy the challenge. SkyTrail – Weave among the tree tops on the high ropes course. The Maze – Can you find your way out of more than two kilometres of winding, twisted passageways and dead ends? 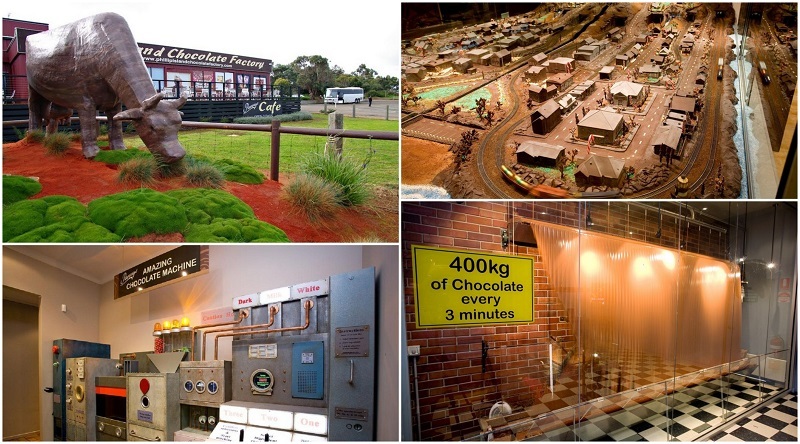 Families with a sweet tooth won’t want to miss a visit to the Phillip Island Chocolate Factory. All things chocolate are celebrated and admired here – even your entry ticket is a chocolate bar! Visit the factory shop where you can browse through the whole range of delicious handmade Belgian chocolate goodies, or perhaps sit at the cafe and relax. Head inside to Panny’s Amazing World of Chocolate and you can see a chocolate mosaic of Dame Edna Everage, a chocolate village and even a giant statue of Michelangelo’s David made entirely from chocolate. 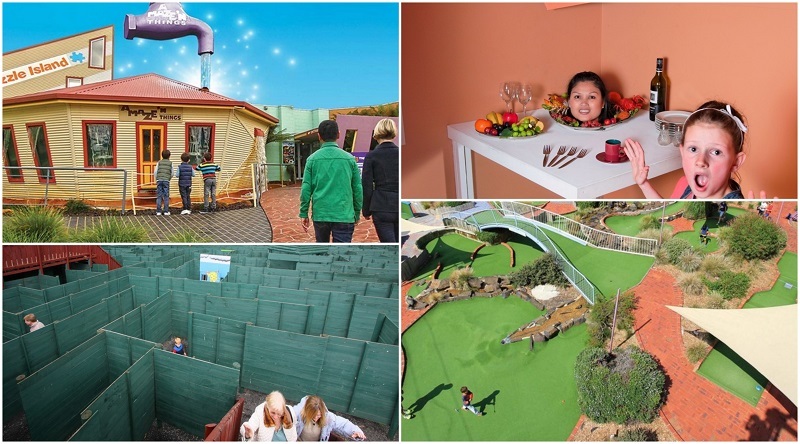 What kind of activities can families expect at the Phillip Island Chocolate Factory? Say cheese – Take a photo right in the middle of a giant chocolate display and send it to yourself for free. See the waterfall – Your eyes might be popping out of your head when you witness hundreds of kilograms of melted chocolate pouring over the waterfall. A tonne of fun – See if you and your family can lift a gigantic, one tonne block of chocolate. 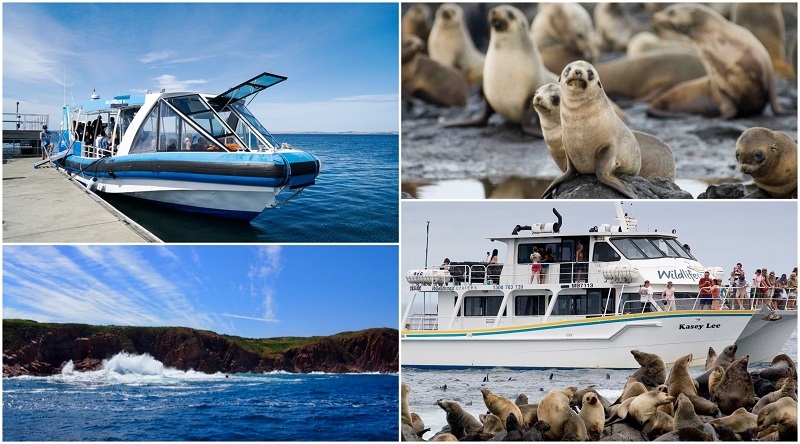 A range of tours take in the Phillip Island sites from the water. Enjoy spectacular coastline views as you cruise along in a fast-paced adventure tour. Get up close to marine life like the fur seals or explore Cape Woolamai, the Nobbies sea cave and other coastal landmarks shaped by the waves over centuries. What types of tours are available for visitors to choose from? 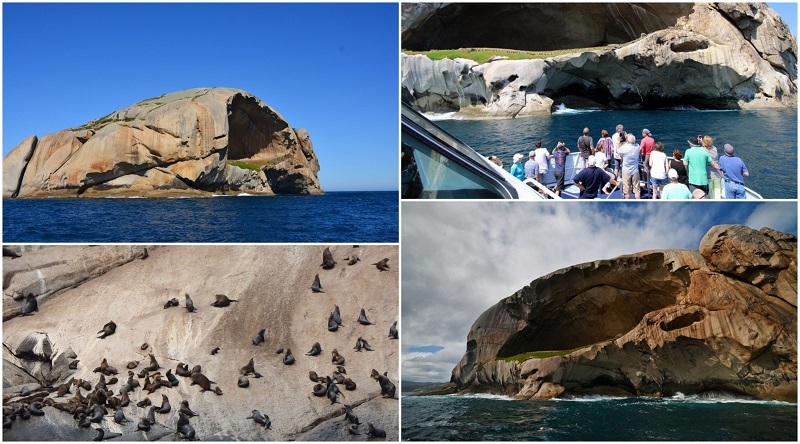 EcoBoat Adventure Tour – See one of the largest colonies of fur seals found in Australia up close in their natural environment. Many of the seals play games and will even pop up to greet the boat and say hello! This 90 minute tour sees plenty of scenic coastline around the island as you cruise past on a high-speed adventure. Cape Explorer Tour – A slightly shorter tour, the Cape Explorer is an hour of fun which takes in the eastern coastline including Cape Woolamai, ‘The Narrows’ and past Churchill Island. Just off Wilsons Promontory, the southernmost point on mainland Australia, lies Cleft Island, also commonly known as Skull Rock. It earned the ‘Skull Rock’ name from it’s appearance – it looks just like a skull half submerged in the blue waters with features on the island appearing like an eye socket and the bridge of a nose. The island is part of the Anser Group which is comprised of three islands, all picturesque and located within Wilsons Promontory National Park and the Wilsons Promontory Islands Important Bird Area. One side of Cleft Island even has a giant cave measuring approximately 130 metres wide and 60 metres high, complete with grass floor. What are the best ways to view Cleft Island (Skull Rock)? Join a cruise – View the rock up close on a full-day cruises from Phillip Island nearby. You’ll also see other sites around Wilsons Promontory, as well as spot whales and dolphins while you cruise along in a catamaran. South Norman Bay and Little Oberon Bay walk – You can also spot Cleft Island from Little Oberon Bay along this three-hour return walk. A family owned and run winery and vineyard, be sure to stop by the cellar door for a taste of the award winning cool-climate wines including Pinot Noir and Chardonnay. Lunch is also available including cheese platters which are matched perfectly with the wines. Enjoy your wines indoors or perhaps take a seat in the courtyard and enjoy the outdoors. Visitors can enjoy views over Bass Strait and Berry’s Beach. They are also free to wander through the vineyard and see the vines up close. 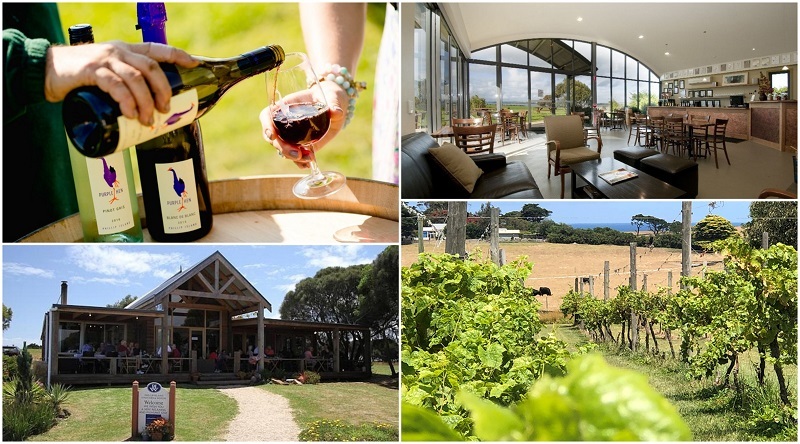 What is on offer for visitors at Phillip Island Winery? Taste the wines – It’s a given when visiting a winery, you simply must taste! The signature Estate Pinot Noir and Estate Chardonnay are both must-try wines for visitors. The range also includes Sauvignon Blanc, Merlot, Cabernet Sauvignon, Rose, Pinot Noir, Shiraz, Cabernet Merlot, and sparkling wines. Enjoy a platter – Relax in the beautiful surrounds and enjoy a platter with cheese, dips, pate and smoked trout. Make it a ploughman’s platter with a selection of freshly sliced meats. One of the most popular surf beaches in the state, Cape Woolamai is set against a brilliant pink granite back drop and is a must-see for visitors to Phillip Island – in fact, it’s the highest point on the island. 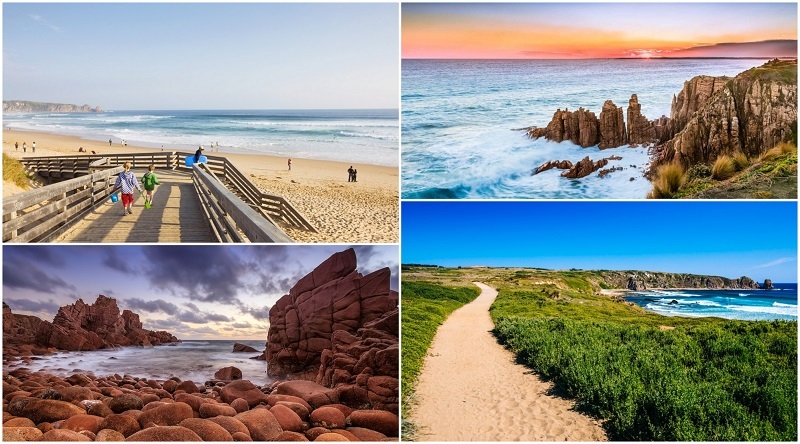 Take a wander along the sandy shores or follow a walking track to the viewing platforms and take in the scenic vistas and fantastic views of the Pinnacles. You might even be able to spot short-tailed shearwaters between September and April, the cape is the largest rookery for these birds on the island. What kind of walks can families enjoy at Cape Woolamai? Pinnacles Walk – Explore the stunning surrounds over two hours with this four kilometre walk. Old Granite Quarry Walk – Take in even more on a six kilometre jaunt, this one will take around three hours. Cape Woolamai Beacon Walk – The longest route will be around 3.5 hours return, covering a distance of 6.6 kilometres. 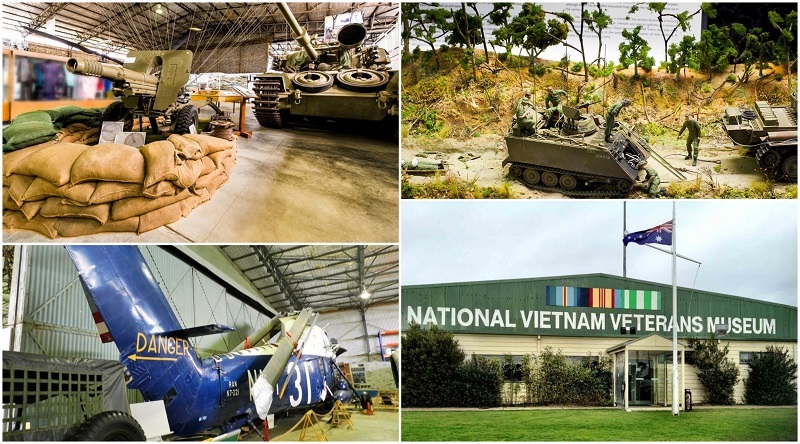 A volunteer run museum, the National Vietnam Veterans Museum honours and remembers those who served during Australia’s longest war. It covers the experiences of veterans, as well as the impact the Vietnam War has had on our society throughout the years. The museum is home to quite a collection of artefacts from the war and veterans including helicopters, a tank, a bomber and smaller items such as boots and a helicopter pilot’s helmet. The themed exhibitions are regularly updated for an educational, rewarding and sometimes emotional visit. What are the highlights to see on a visit to the National Vietnam Veterans Museum? Conscription ballot balls – See the ballot balls which divided the nation as they were used in the National Service system. Light & Sound show – Be sure to take in the Light & Sound show on your visit, as it helps gain further understanding of the war and its impacts. An iconic motor racing venue, visitors can see it from the track, take a tour or enjoy all kinds of fun. Whether you’re into the adrenalin rush of a hot lap or go karts, or prefer to take it a little easier with the history display and guided tour, you can be sure there’s plenty to keep your family occupied all day! 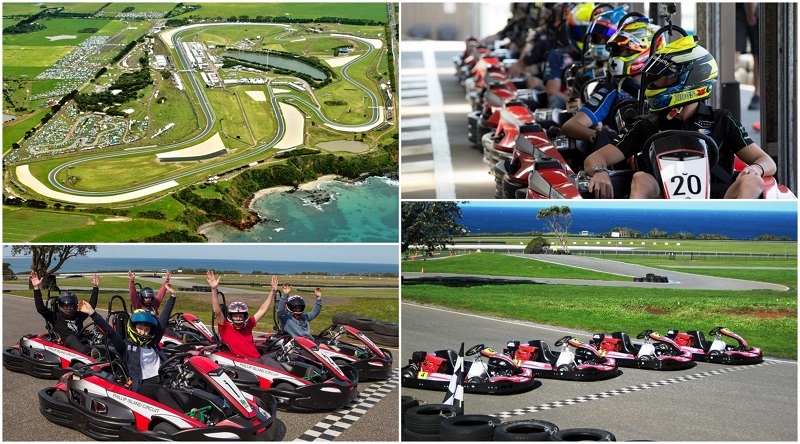 What can visitors do at the Phillip Island Grand Prix Circuit? Hot Laps – Don’t miss your chance for a lap on the iconic circuit, buckle up and join an experienced racing driver for a ride you won’t forget! Go Karts – Race around a scale replica of the famous track. Guided Circuit Tour – Go behind the scenes of the world famous circuit and see how it all happens, you’ll even finish up atop the winner’s podium! History of Motor Sport Display – Be sure to learn a thing or two about Phillip Island’s rich motor racing history. Champion’s Café – Sink your teeth into a delicious meal or enjoy a cooling drink and take a break from all the fun for a moment. Any of these attractions will provide a unique experience for your family. If you’re looking to visit more than one tourist attraction, it may be easier to look into packages. There are also plenty of tours on offer from Melbourne.